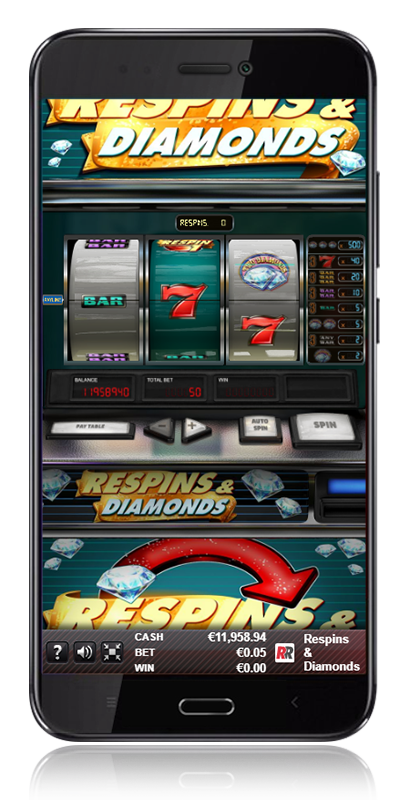 Diamonds, Diamonds, Nudges... and a Respin! Better make them Five! 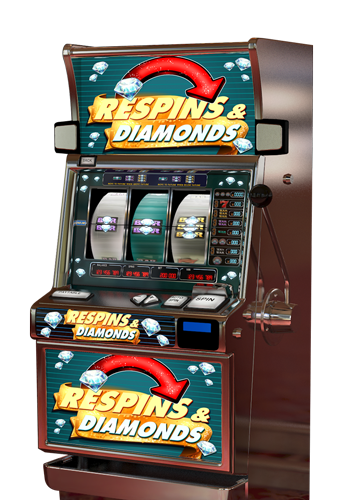 Enjoy the excitement of a Casino with this classic slot that adds the new 'Wild Respin' to its feature set, awarding up to 5 Respins that will increase your wins in a single go. 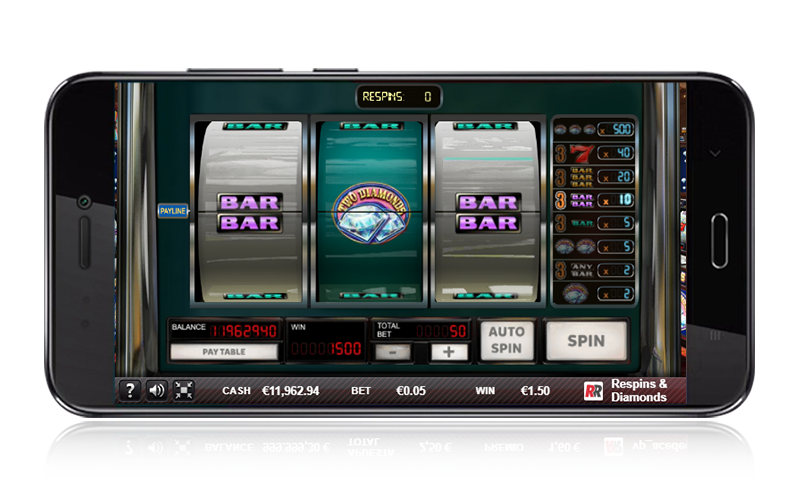 3 reels and a payline. 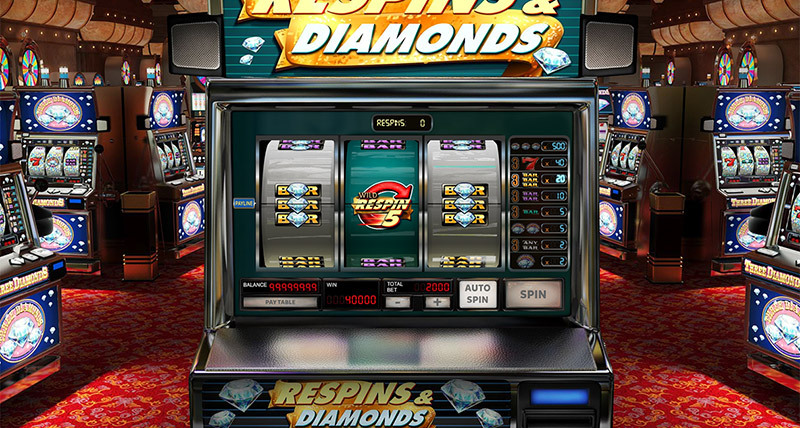 Wild Respin with 1, 2, 3 or 5 free Respins. 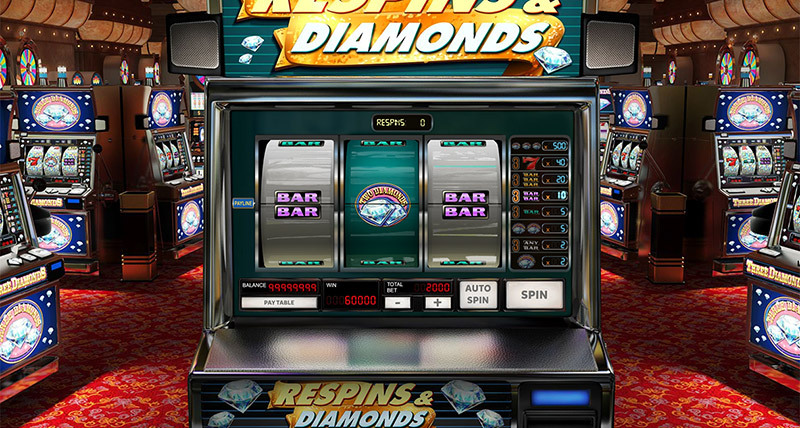 Three double diamonds pay 500x. 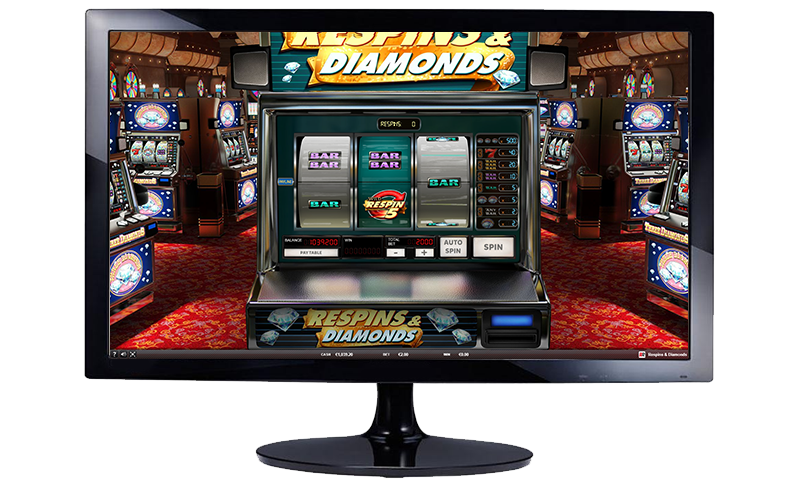 Win free spins with the symbol '1-2-3-5 Wild ReSpins' on the central reel. 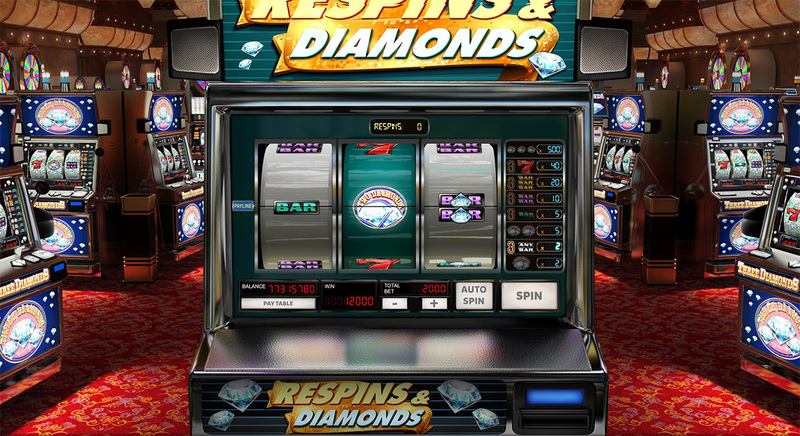 'Two Diamonds' symbol combine with any other symbol on the payline.